Paddy Power Bingo has a number of daily promos and some extra treats over the weekends but today we’re looking at their Freebies! First up is the Lucky Freeroom where the not so lucky players get a chance to win for free! There are guaranteed prizes for all the unlucky players who are invited to play in the Lucky Freeroom so next time you’re on a losing streak you can take comfort in the fact you might get a chance to redeem yourself and get Lucky in the Freeroom. 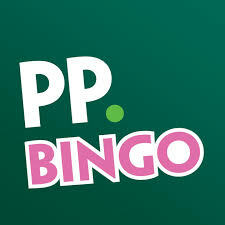 Paddy Power Bingo players can earn £5BBs for free when they submit their stories and pictures. All you have to do is email your story to [email protected] making sure you mention your username and you’ll soon see a £5BBs credit to your account. It couldn’t be easier! There’s Free Bingo each and every day at Paddy Power Bingo with games playing every hour in two of their most popular rooms…we wonder why! The bargain Basement at Paddy Power offers free bingo games between Midday and 7pm and the Sapphire Room opens its doors between 6pm and 10pm. These games might be free to play but you can win real BBs prizes so they are definitely worth a look, especially when your account balance is a little low. Other ways you can get hold of some free BBs include referring your friends and you can play for free in the 7th Heaven Room when you play bingo at Paddy Power for any 7 days in the month. If you love the games and promotions why not tell all of your friends? You’ll receive £5BBs for each friend you refer who deposits at least £10 and there’s a limit of 2 friends which might not sound like much but it’s still a free tenner!